Rated: PG-13 for your standard sci-fi spectacle action. Have you heard? 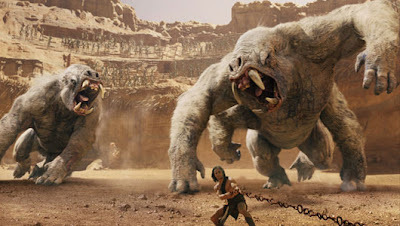 John Carter is the latest disaster from Disney! It’s an overbloated sci-fi spectacular full of ridiculous characters who have unpronounceable names! It’s overstuffed with CGI that’s there for the sake of more! It cost over $250 million, and if it fails, we’ll never see the likes of it again! Yay, us! If you read anything on John Carter this week, which is a very big and costly science fiction epic from Disney, it probably read something like this. 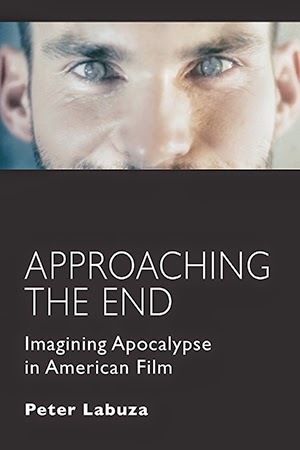 And because what the film looks like on its surface, it is certainly easy to pile on the film for representing everything wrong with mainstream filmmaking. Certainly Disney has a trend of these “franchise booter” films since Pirates of the Caribbean, none of which have spawned sequels (see: The Sorcerer’s Apprentice, Prince of Persia, and Tron: Legacy), and John Carter is certainly written with bookends in order to demand sequel territory. 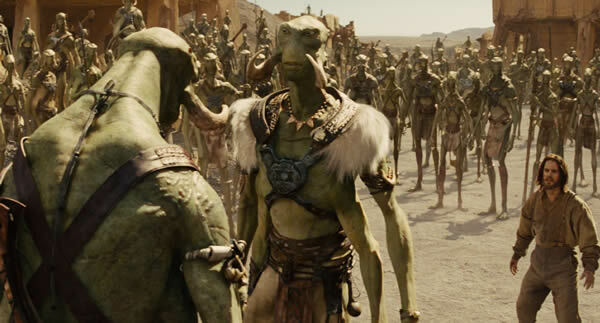 But to dismiss John Carter so easily is to dismiss the grounds the film’s director, Pixar alum Andrew Stanton, wants his audience to approach the film. You have to take the drama as intensely as its characters do, and once you give into the power of John Carter, it’s a wild ride on the red desert. Stanton, best known for directing WALL-E and Finding Nemo, has adapted A Princess of Mars by Edgar Rice Burroughs, which is the first of a series of novels that set the standards for all science fiction, and one we can see in the DNA for Star Wars on. After the film’s awkward two prologues (exposition dumps that had me ready to flee for the exit), we meet the titular character as a renegade civil war veteran, searching for gold in the Arkansas valley. After a run-in, Carter (Taylor Kitsch) finds himself accidentally transported to Mars, known as Barsoom to its inhabitants. Barsoom is a deadening but hospital planet, full of green, four-armed creates called Tharks, magical demi-gods called Thurns, giant apes, and warring factions competing for the hand of a noble and beautiful princess (Lynn Collins). 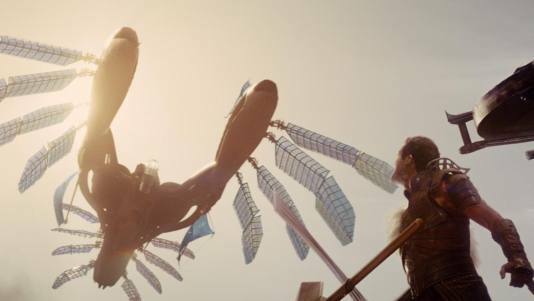 Running over two hours, Stanton and co-writers Mark Andrews and Michael Chabon have a lot of universe building to do, and only when the film feels like it must drown us in exposition we don’t necessarily have any investment in, does John Carter feel like a drag. Otherwise, it’s a wondrous tale. The early images of Carter learning to jump across the Martian surface have the same magic of the silent sequences of WALL-E, and the visual palette is floating with colors despite the desert planet. Like Star Wars, Stanton is working on a lot of different levels—he’s got a renegade character like something out of a Western, a gigantic science fiction narrative of which he must cover all the basics to keep the audience involved, and a classic Joseph Campbell hero’s journey tale to top it all off. The fact that John Carter manages to stay afloat is its own marvel, but Stanton keeps a lightness in it all, and Kitsch and Collins, both veteran TV actors, have enough chemistry that we want to see them together (the less said about Dominic West’s one note villain, the better). 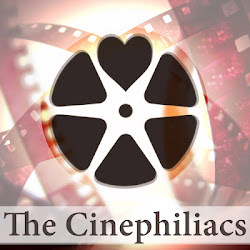 A lot of this comes through in the film’s humorous touches, and while we must take the film’s takes seriously, we can enjoy the fun the film has, notably Woola, a lovable oversized mutt with a gray scaly body and an agility that doubles a cheetah. In today’s age of 5-second criticism on Twitter and automatic hate of anything that doesn’t provide immediate pleasures, it’s so easy to bash on Stanton’s creation without giving it full consideration. But as I gave myself more and more to the narrative and stopped dismissing the film for things it never considered bad in the first place, the more I saw John Carter is a wondrous attempt to recreate the films I loved as a child (Carter comes with a PG-13 rating, though I see no reason why a seven year old wouldn’t find it “the best movie ever!”). And though it leaves us on a sour note (damn you, studio sequel intervention! ), there are images that will permeate through my mind for some weeks to come. John Carter is certainly worth a ride to the red planet. But Is This Good? Film Forum’s "This Is DCP"
Film Comment Selects: Giorgos Lanthimos's "Alps"